After months of browsing real estate websites and hitting the open house circuit, you've finally found the house that you love. However, before you can move in, you'll need to make an offer for the property. Since you've already taken this step, you're off to a great start. Most sellers will expect to see pre-approval letters with the offers they are considering. Having a pre-approval before you even make the offer shows the seller you have discussed your qualifications for financing with a mortgage professional. Plus, getting pre-approved for a mortgage means that you've already worked with a lender to figure out exactly how much home you can afford, so you won't waste time looking for houses that aren't in your budget. In today's tight housing market, it's not uncommon for sellers to get multiple offers within a few days of listing their property. In order to be in the running for consideration, you'll need to make sure that your offer is one of the first that they see. Think about what you're looking for ahead of time—like a pool, a gorgeous backyard, or if it's in the right school district—so that when the perfect property comes on the market you don't waste time deliberating. Make sure that your real estate agent is ready to write the offer quickly. While it can be tempting to make a low-ball offer to get a discount on a property, going too low may cause the sellers to reject the offer. If you're in an extremely hot real estate market and the list price feels reasonable, your first offer should be fairly close to list. Work with your real estate agent to research the list and selling prices of comparable homes in the neighborhood, and make an offer that's at or just slightly below what you think the property is really worth. If the home needs significant work or has recently been renovated, those factors should influence the amount that you offer. As you and your real estate agent consult an offer, a few things to remember are: unless you're making an offer that's significantly above the asking price for the property, there will likely be some back-and-forth with the seller over the terms of the deal. Make your counter offer based on the value of the home and your overall budget, rather than how much you want the house. 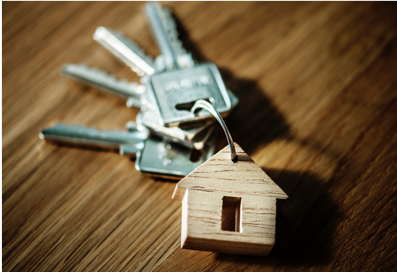 If you're unable to negotiate on the price of the home, being flexible in other areas, such as the move-in or closing date could also appeal to the seller. Don’t forget, you can consult consult your agent or attorney for negotiation strategies. In a hot market, some buyers may look to sweeten their offer by waiving the inspection contingency. Although this may sound tempting, it could leave you with no way to fix some of the major problems a home may have. Instead, you may decide to include a statement that discusses not renegotiating unless the inspection finds issues with a repair cost over a certain amount. Work with your real estate agent to draft this letter in order to make sure you're including the right information. Determining which course of action to take will depend on how badly you want the home and whether the sellers believe they have other options. When in doubt, consult with your real estate agent about additional tips for making an offer.